Realistic proportions and faceted look make for a convincing stylish print. 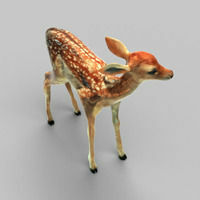 The low poly model is drived from scandata of a high poly model, also available as regular 3D model (check my profile). Model is watertight and comes in OBJ Format. I hope you have as much fun printing as I had making it.